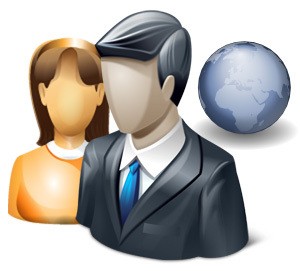 Web Conferencing Services - Business Phone Systems, High Speed Internet, Local Phone Service Atlanta - Integrated Business Services, Inc.
We are Integrated Business Services, Inc. A company whose mission is to provide leading-edge Communications, Security and Storage Solutions to our clients. We provide leading communications solutions from the leading providers in the industry. Contact Us to improve your communications configuration today. Integrated Business Services is a value-added-reseller of leading internet security products and services. To find out more our products, Contact Us now. If you are looking for new or refurbished servers, we can provide this for you. We can help you make the choices that best fit your business needs. We will work with you to assess your current strategy and find a solution. If you’re ready to put hard dollars back into your bottom line and cut expenses, please contact us and we’ll get you on the road to savings! From the moment we engaged the services of Integrated Business Services, we could tell they were different. Mr. Blaier and his staff used a consultative approach bolstered by a wealth of telecommunications industry experience. We at ESG have seen our efficiency improved and have added real dollars to the bottom line.